On Thursday, April 24th at 7:30pm please join us at Centennial Common in front of Ryder Hall for the public opening of .vote, a special collaboration between Philips Color Kinetics and the Northeastern Information Design and Visualization MFA program. 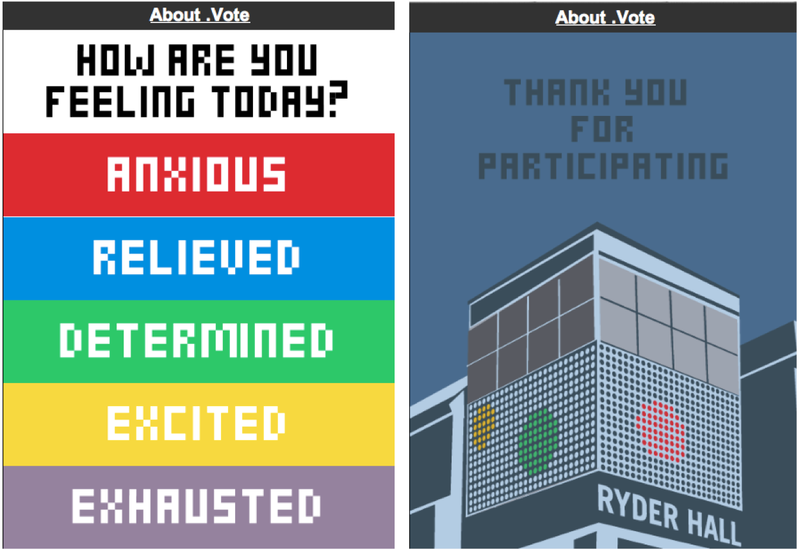 .vote is the initial application for a transparent, three dimensional LED matrix, both developed by MFA students for the facade of Ryder Hall to display information after dark. The interactive application that captures, aggregates and feeds back data gathered from the Northeastern community to the light installation on the façade of Ryder Hall. This interactive installation exemplifies how the visualization of public information can contribute to campus life in a meaningful way.